Lawn mower disposal can seem like a complicated process. Trust me; it doesn’t have to be difficult. Whether you have an old riding lawn mower or an old push mower, you should be able to get rid of it by the end of the day. For those of you wondering what to do with an old lawn mower, you’ve come to the right place. This article will walk you through the ways you can get that mower out of your garage. 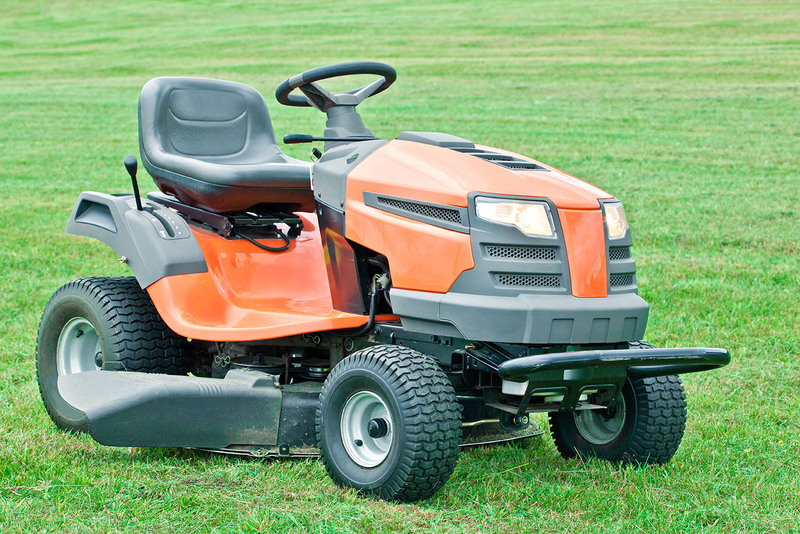 Before outright disposing of a mower, we suggest looking for a new home for it. Lawn mowers are essential for every residence with a yard, so used mowers tend to hold a high demand during the growing season. Before you consider any other options, you should attempt to sell the darn thing. Countless sites allow you to list things for sale. Facebook, eBay, and Craigslist are all great resources. Maybe you are selling a big riding lawn mower after you upgraded, or perhaps you are just moving on from the trusty push mower you have been using for the last ten years. Either way, if your grass cutter still has life, it still has use. Snap a picture of that grass clipper and post it on Craigslist! If it’s reasonably priced, many people are on the lookout for a good old lawn mower. The best part about selling is that someone will probably come and pick it up. Not having to deliver it is a huge perk for many people. Even if you sell it for five dollars, that’s still five more than you had. If you do end up selling it on Craigslist, follow these tips for staying safe. If you decide to give it away, you should call your family, friends, and neighbors to see if they are in need of a lawn mower. You would be surprised how many people need a lawn mower. If you are feeling generous, drop it off at your local thrift store. If the mower is still working, they will turn around and sell it for a low price. Depending on where you live, there might even be local charities who would be happy to repurpose or give it to a person in need. The best way to donate an old lawn mower is to set it out on the curb with a piece of cardboard that says, “FREE.” Most of the time, people can’t bare passing up on something that’s free. Every single time I drive by something that’s free I at least stop and think about picking it up. As an extra effort to get it off your property, you can post it in the free section of Craigslist. You can expect to see it gone within the hour if you give people a heads up. 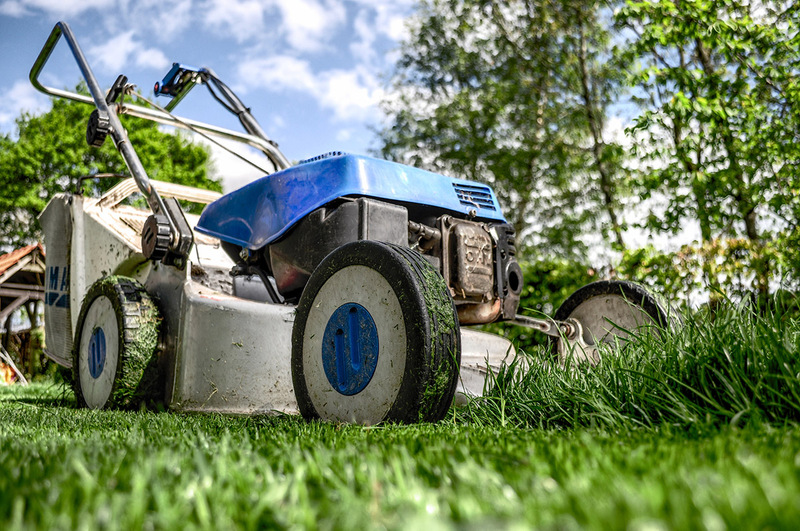 Recycling a lawn mower is by far the most time-consuming method. We always recommend choosing efficient and environmentally conscious ways to recycle equipment and machinery. Items made up of multiple materials tend to be a pain. 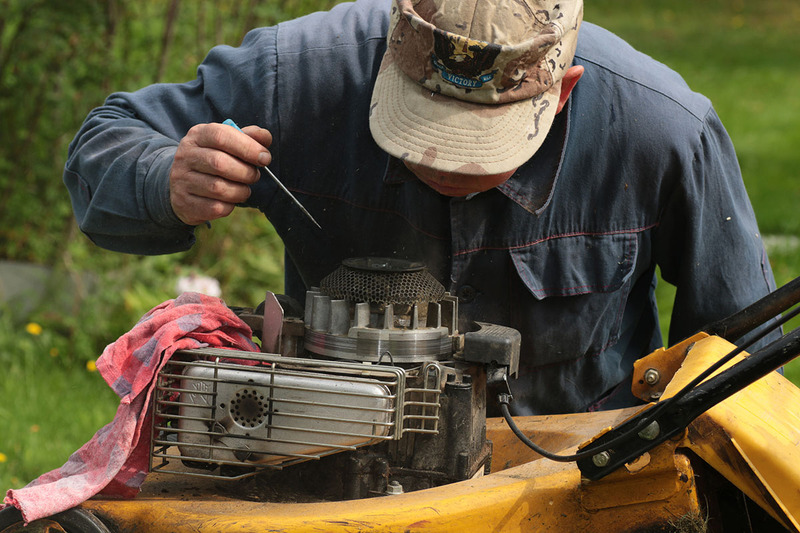 If you choose to recycle a lawn mower, chances are you will need to take it apart. The first thing you should do is take the spark plug out and drain the oil and gasoline. Due to the simplicity of a mower engine, this step should be relatively easy. Many auto parts stores offer free oil recycling. Disposing of old gas from lawn mowers isn’t as easy. You will need to take it to a hazardous waste center. If there isn’t a lot of gas left in the tank, you can just run the mower until all of the gasoline is used. This method helps you avoid a trip to the waste center. Learn all about hazardous waste recycling at Earth911. While your mower is still flipped over, remove the blade (or blades) from under the mower deck. Make sure that spark plug is pulled out! Next, you should remove all of the plastic from the lawn mower. Most of the time this will be the wheels and deck covers. These can either be recycled or thrown away in your regular trash. Depending on the type of metal that is left, you might be able to make a few bucks by scrapping the metal. Even if it’s not worth anything, you can responsibly recycle the machine. We don’t endorse laziness, but sometimes it’s hard to find the time to do options 1-3. In other cases, you might not have the type of vehicle capable of hauling something as big as a lawn mower. This is where Lula comes in. Lula offers an on-demand junk removal option. Rather than hassling with the old lawn mower yourself, you can have someone with a truck come to pick it up this afternoon. All you have to do is take a picture and submit a request through the Lula app. That request is sent out to all of the qualified drivers in your area. Our drivers are fully-vetted people who use their pickups to dispose of your junk. With our service, you can trust that everything will be handled promptly and responsibly. Download the app and let somebody else take care of you lawn mower disposal.